TPL mentioned a day or two ago about Apple refusal to sell their iPads to Asian/Americans …. Here’s an update on the story…..
New York Attorney General Andrew Cuomo is investigating claims that the computer giant Apple has refused to sell its new iPad to people of Asian descent, apparently over smuggling fears. The Attorney General’s’s civil rights bureau was tipped off by an Assemblywoman from a Chinese-American section of Queens, who complained publicly last month that her constituents were being asked unusual questions when they sought to buy the devices. 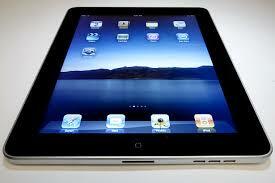 The iPad was not yet for sale in Asia at the time of the complaints in May. “Our Office received complaints over the treatment of certain individuals of Asian descent at two Apple stores in New York City,” said Cuomo communications director Richard Bamberger in an email. A source familiar with the investigation said it was focused on flagship stores in Soho and on 14th Street in Manhattan, and that investigators from the office’s Civil Rights Bureau had already interviewed store managers, with Apple’s “complete” cooperation. Apple’s press office didn’t immediately respond to inquiries by telephone or email, but a person who had been informed of Apple’s policy said the company — concerned that customers were purchasing multiple iPads for sale abroad — had briefly instituted a questionnaire for use in the course of iPad sales, aimed at blocking those illegal exports. The source said the policy is no longer in place, and Bamberger signaled that the investigation appears likely to be resolved routinely…..
Apple intro’s the new iPhone4….. While demoing the new iPhone4 he had to suffer thru a wait for the wifi service to come up…..
Anyways the new Apple iPhone ships on June 24…and Apple hopes it blunts the sales of the new droid phone…..
Here’s some 411 on the new Apple phone….. The Apple iPhone 4 is everything that a new piece of technology should be: It’s innovative, attractive, andahead of its competition. In comparison, previous iPhone upgrades seem inconsequential–that’s how much iPhone 4 brings to the table. The phone will ship on June 24, priced at $199 for the 16GB model and $299 for the 32GB model (in white or black). I spent some hands-on time with the new handset at the Apple event. I’ll start with the visuals: It’s stylish. Whereas the iPhone 3GS looks and feels plasticky, the iPhone 4 is svelte and has a premium feel. Surprisingly, it achieves that impression while retaining the same general design, although the edges appear a bit more squared than before. However, it’s the aesthetic design touches that make the iPhone 4 stand out. The overall design screams elegance–from the rounded, individual volume up and down buttons that replace the plastic volume rocker on the iPhone 3GS to the ring/silent switch and the power/sleep button up top. The face and back are made of glass that is specially treated to withstand scratches and oily fingers, according to Apple. The side edging is aluminum, and doubles as the device’s three cellular and wireless antennas. Of course, the iPhone 4 isn’t just about cosmetic enhancements, pleasing as they are. What makes this phone such a technological improvement is what’s inside the handset. Like its predecessor, the iPhone 4 has a 3.5-inch display. But the new phone’s display doubles the resolution to a 960-by-640-pixel IPS display. At 326 pixels per inch, this is the highest resolution available on a phone to date. That display truly makes a difference. Whereas the iPhone 3GS’s text–in the menus, in apps, or on Web pages–appears thick, fuzzy, and undefined, the iPhone 4’s text is razor sharp, even when enlarged (as I tried doing when viewing a PDF)…..
Apple intro's the new iPhone4…..